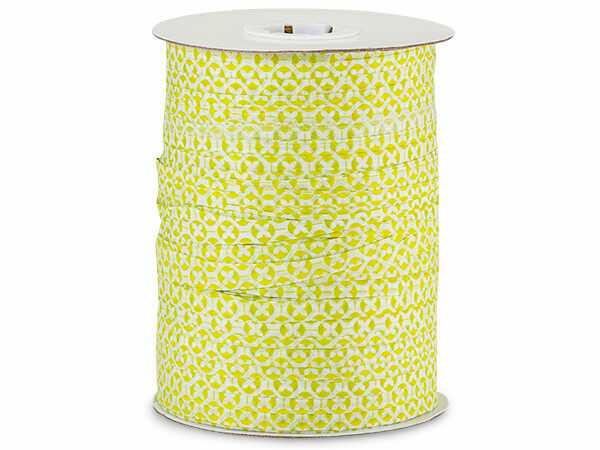 Printed Paper Raffia Ribbon is made of 100% natural fibers that are degradable and on 100 yard spools. Ribbon is twisted at 1/4" width and expands to over 1-1/4" width. Raffia is twisted at 1/4" width and expands to over 2-1/4" width! It's so simple to use and looks great on any package! Made in China.